First look: Bill Murray in Netflix's "A Very Murray Christmas"
It's not even summer, but Bill Murray just got us counting down to the holidays. 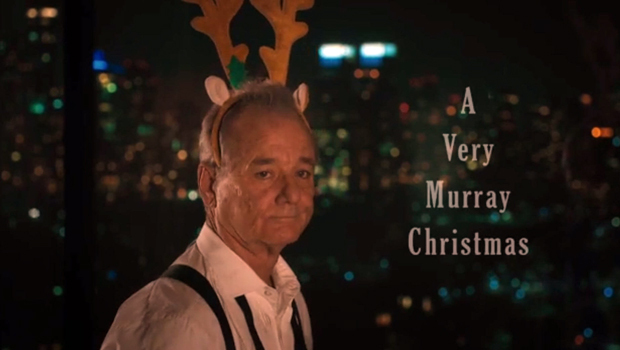 Netflix released the first teaser Friday for "A Very Murray Christmas," starring Murray and (based on the video below) some reindeer antlers and melancholy piano music. The special was co-written and directed by Sofia Coppola, who also directed Murray in "Lost in Translation." According to Netflix, Murray will play a version of himself who worries no one will show up for his TV show after a snow storm hits New York City. But, it seems, plenty of stars do show up -- the special's cast is set to include George Clooney, Amy Poehler, Michael Cera, Chris Rock, Paul Shaffer, Maya Rudolph, Jason Schwartzman, Jenny Lewis, the band Phoenix, Rashida Jones, and Miley Cyrus.